What do you do when faced with limited hours and staff but high community demand? 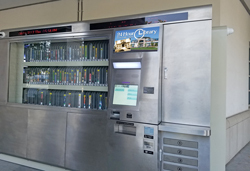 The team at Hemet Public Library in California has tackled this problem through creative thinking and innovative solutions. EnvisionWare’s 24-Hour Library™ was a perfect fit for Hemet’s service model by providing 24/7 access to books and materials during busy periods and when the building is closed. With building hours limited due to funding, this solution serves an important need in the community. 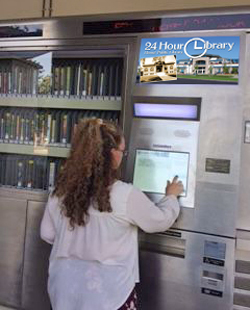 To learn more about the 24-Hour Library, contact your EnvisionWare representative or visit our website. EnvisionWare has formed a new partnership with Lyngsoe Systems in the United States and Canada to bring you more choices in automated materials handling (AMH) solutions. Are you looking for ways to improve patron service and save valuable staff time? EnvisionWare® Intelligent Voice Response System (IVR) is an affordable patron self-service solution that could be a perfect fit for your library. As a librarian, what are the key points you need to consider when planning out your RFID implementation? Tune into this webinar replay with EnvisionWare’s Mike Monk and Backstage’s John Reese.